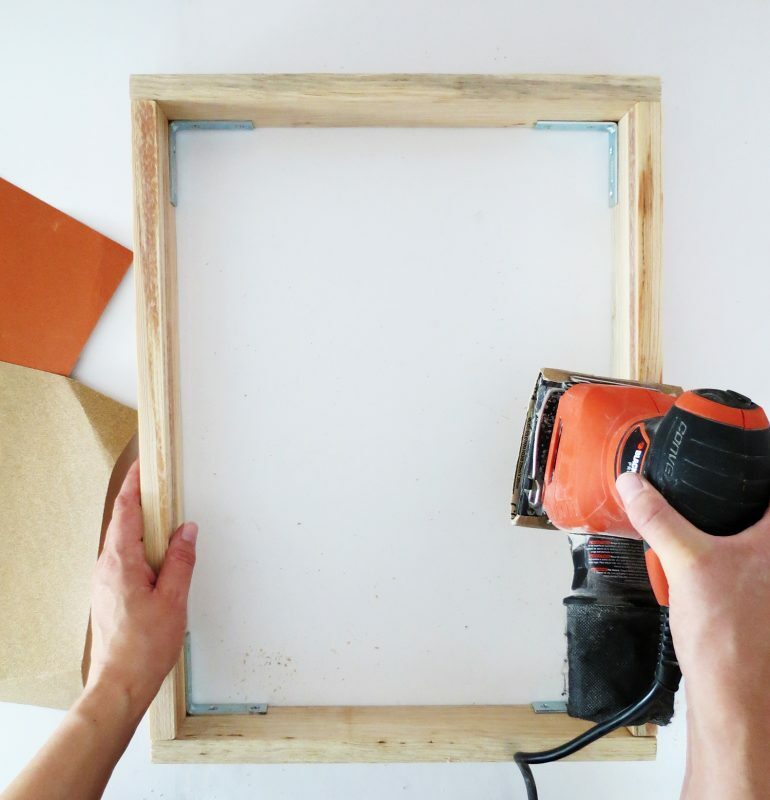 DIY blogger, Amaryllis of Oh Oh Blog shows us a fresh (and seriously simple) new way to hang your canvas prints. Framing your wall art is a great way to give more elegance to any art piece. Unfortunately frames can be really expensive. 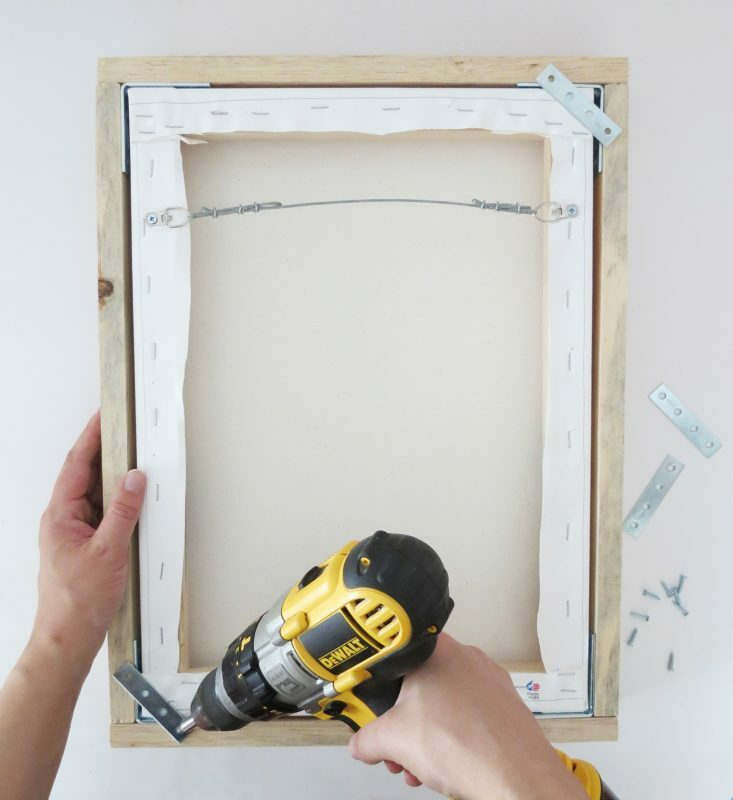 If you own a canvas and want to enhance it, building a floating frame for it is an easy and budget friendly project to realize. It will give your art piece an all new visual impact. We used ¾” thick wood but you can choose any thickness you want. Cut the wood pieces at the accurate dimension. The two vertical pieces, must be the same dimension as the high of your canvas more the two bracket edges thickness. Example: Our canvas is 18” high and the brackets are 1/8” thick, so 1/8” + 1/8” + 18”= 18 ¼ “ is the length of our two vertical wood pieces. The two horizontal pieces must be the same dimensions as the width of the canvas, more two wood thickness, more two bracket’s thickness. 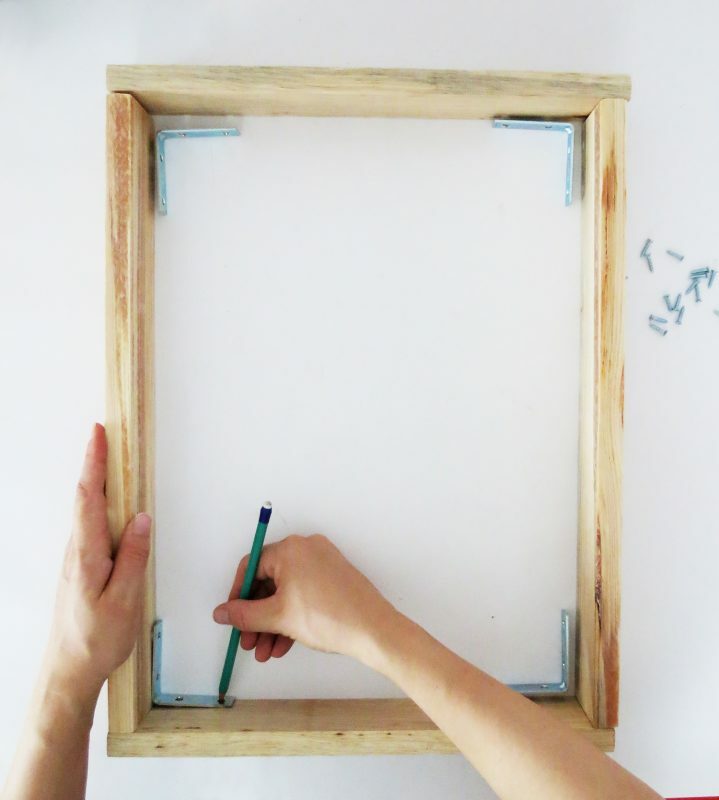 Example: Our canvas is 13” width, the wooden pieces we use are ¾” thick and the brackets are ⅛” thick, so 13” + ¾” +¾” +⅛” +⅛” = 14 ¾” is the length of our two horizontal wood pieces. 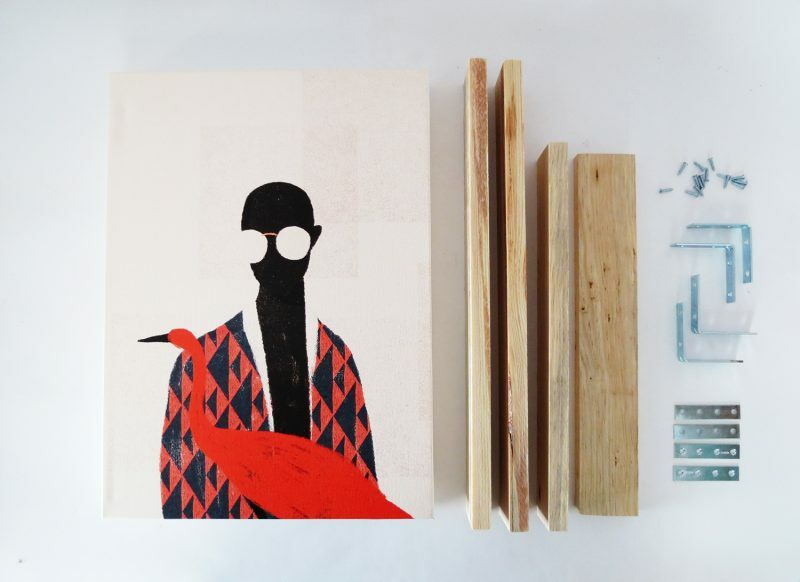 Once the pieces are cut, check that they fit perfectly around your canvas. Place a bracket at the base of each corner and mark the screws position. 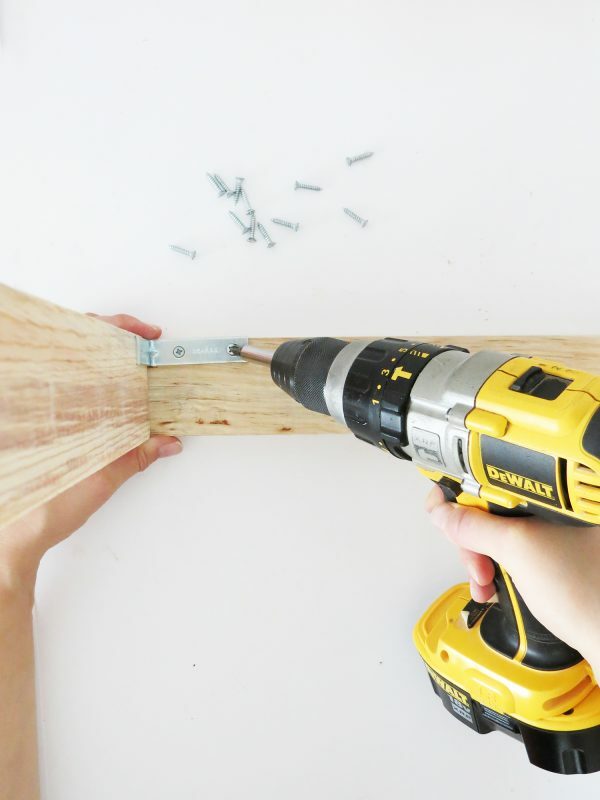 Following your marks, drill small holes at each screw location. Screw a bracket in each corner of your frame. Check that the wood pieces are perpendicular to one another. Sand you frame. 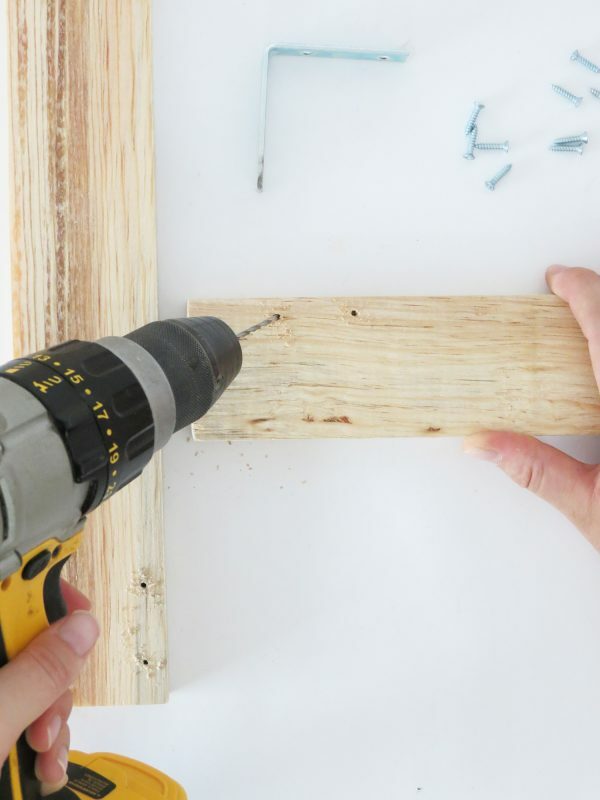 You can use a sander or doing it by hand if you don’t own one. Take off the dust with a wet cloth and apply a coat of transparent varnish. You can also choose to stain or paint the wood if you like too. Place your canvas into the frame. Screw a mending plate in every corner to fix the frame and the canvas together. The canvas already has a wire to hang, so just put a nail on the wall, hang your art and enjoy it!